The Grammys have taken place in New York. Neil and Catherine teach you the language the world's media is using to discuss this story. The American music industry awards, the Grammys, have taken place in New York. Some artists wore white roses in support of the Time's Up campaign against sexual harassment. 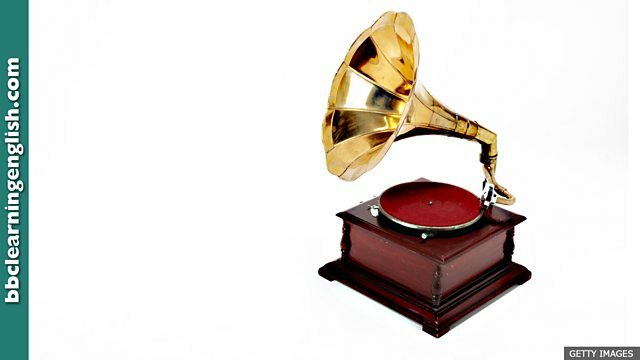 The Grammy awards are named after an early machine that played music. What's its full name? The music industry's biggest awards - the Grammys - has taken place in New York, with many of the performers and audience wearing white roses in support of the Time's Up campaign against sexual harassment. Neil once ______ his ex-girlfriend's birthday party. The civil rights ______ in the USA aimed to gain equality for African Americans. ______ that table. It's the only free one in the pub and I'm not standing all night.